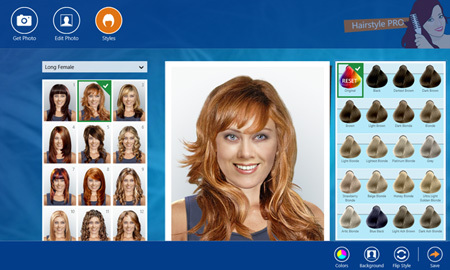 Hairstyle Pro for Windows was developed with help from Microsoft and was ready for the official launch of Windows 8 and the Windows Store in 2012. It runs on any device with Windows 8 installed, both tablets and desktop PCs. The app will enable you to "visually" see what you would look like trying on a new virtual hairstyle, and then allowing you to show and share your results with your hairstylist, family, or friends before taking the plunge. The app is FREE - including 15 free hairstyles, which allows you to try it out before you buy more styles. The app is for both men and women, and you get more than 50 different hair color options for every style. 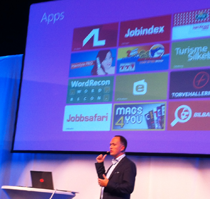 Danish Couple creates Hairstyle PRO app for Windows 8.